Soon it will be winter suit the need. Jypyä Pop (Turku, Finland) on 22 October 2014 in Animal & Insect and Portfolio. Many animals change their color during the winter white or gray, that your example of birds of prey would be so easy to notice them. This squirrel has already started to wear a winter suit. Sometimes it becomes a puzzle that, for example, rabbit fur is white, but there is no snow. The brown hare is always brown. It is very cute, excellent capture and beautiful photo. I like a lot, a great shot. Indeed, the changes in Nature are fascinating - if only we stop yo look. A sweet catch here. Fait sa réserve pour l'hiver. SO cute - I love those ears! Our squirrels do not have such delightful ears! @Ruthiebear: Long hair the squirrel ears are protected against frost. You might not be so hard frosts than in northern Europe. Excellent capture of this cute little guy trying to change the colour of his fur!!!! @Devi: Thank you. Maybe winter is coming soon, as the weather was very cool today. 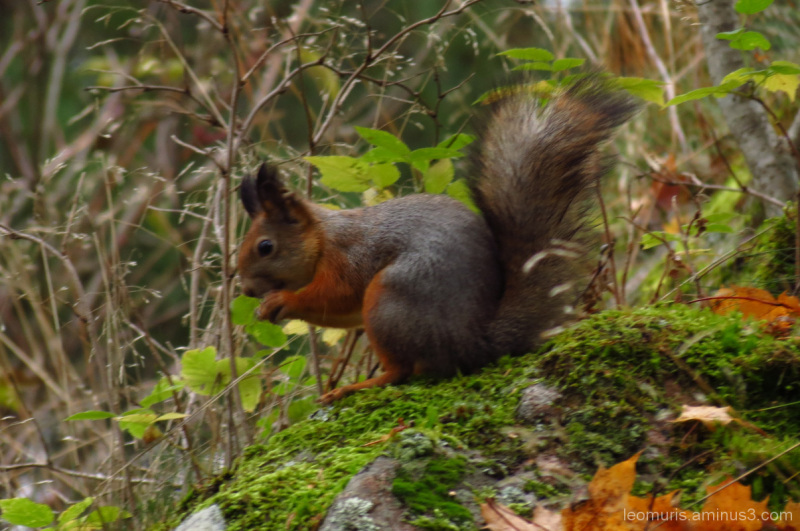 Nice history lesson - I did not know squirrels changed color. Beautiful photo. Looks like he's ready! An excellent capture.